Ozz Negri, Jr., pole sitter at last weekend’s Rolex 24 Hours, has been announced today as the final driver in Krohn Racing’s lineup for it’s assault on the European Le Mans Series (ELMS). The Brazilian driver will join the driver lineup of team owner Tracy Krohn and Nic Jonsson, subject to the team’s entry request being granted. The official entry list for the ELMS, the World Endurance Championship (WEC) and the 24 Hours of Le Mans will be announced in one week, on February 5, 2015. 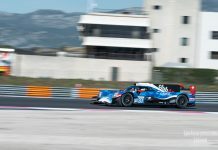 The Houston based team decided to move up from the GTE category to LMP2 for 2015 and has purchased a new Judd-powered Ligier JS P2 car. 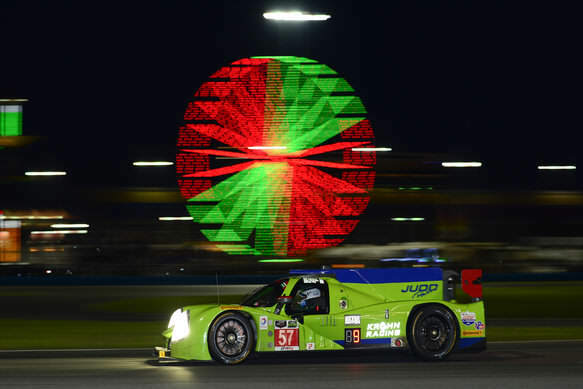 They recently raced in the IMSA TUDOR United SportsCar Championship series at the Rolex 24 At Daytona, January 24-25, along with co-drivers Oliver Pla and Alex Brundle, but suffered an engine failure in the sixth hour. Honing his racing skills in Brazilian karting and later the British and International Formula 3 series in the 1990s, Negri moved to the United States in 1997 to compete in Indy Lights for several seasons. He then became a development driver for the Barber-Dodge Pro Series in the 2000’s while also beginning his career in sports cars. He has enjoyed a decade-long involvement with Michael Shank Racing (MSR) in Grand-Am and IMSA TUDOR. In addition to the ELMS drive with Krohne Negri will continue in the IMSA TUDOR series in North America with MSR, for whom he set the overall pole at the Rolex 24 this year, also driving a Ligier JS P2 entry. “I’m pleased for the opportunity to join Krohn Racing for the ELMS season,” said Negri. “I’ve had the opportunity to test and race the Ligier JS P2 and know what a good car it is. 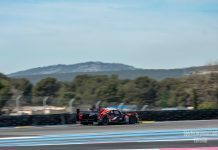 To compete in North America in IMSA with Michael Shank Racing and in Europe in the ELMS with Krohn Racing in the same chassis is a dream for a driver. “We are happy to welcome Ozz to Krohn Racing.” said Tracy Krohn. “Adding him and his experience with the Ligier and on the European circuits, as well as his sports car racing skills as our Silver driver, will greatly increase our ability to be the formidable team we expect to be this season in ELMS. “As proven by his recent performance during the Daytona 24 hours, he is a great driver and I am sure he will be a seamless fit for the team. “He not only brings further European experience of the tracks we will be racing, but also knowledge of driving the Ligier JS P2, as the chassis is the same one he uses throughout the IMSA TUDOR championship this season. Negri will miss the Austria round o the ELMS due to an IMSA conflict (Mosport), but will do four of the five rounds. 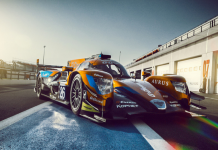 Krohn Racing has also submitted an entry for the 24 Hours of Le Mans, June 13-14, in hopes of making Krohn and Jonsson’s tenth consecutive appearance as teammates at La Sarthe circuit in Le Mans, France. Whether o not Negri will be the third co-driver will be announced at a later time, should Krohn Racing be awarded an entry to the historic endurance classic.